If you want to accept payment in the form of a credit or debit card in a brick and mortar store, you’re going to need some equipment to get the job done. You’ll need a register to ring up the transaction, and to track your inventory, and you’ll need a credit card terminal to process the payment. That’s not where the obligations end, and it’s important for every merchant to understand how far those obligations go. 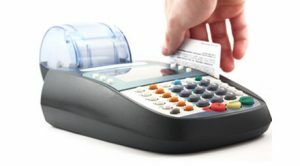 Credit card processing affects everything from how quickly your money is delivered to you for selling the good, to whether that money is held in the event of a dispute or return. Learn everything you need to know about the software and equipment you need for online credit card processing, or a hybrid of in-store and online. Software that comes with a merchant account usually supplements whatever you’re already doing. When you integrate a merchant account, you gain the ability to accept payments on or offline. What if you needed to invoice a customer, or you wanted to enroll people in subscription billing services? This would require some supplemental software designed to work with your account. This software will add these functions onto your existing account, but usually at an extra fee. You may need to pay for the software itself, or you may need to pay a setup or maintenance fee to use it on a regular basis. There are third party vendors for this type of software, but compatibility does become an issue. You need to make sure the software you’re buying will work with your payment processor. Most of the time, hardware consists of a card reader. There may be additional units, such as an iPad for loyalty points, or a separate terminal that replaces your existing setup. If possible, try and install this hardware on your own. Most companies allow you to utilize phone support to launch the system at no extra charge.